We have at our fingertips literally hundreds of digital tools that can make teaching and learning fun. However, "not all digital tools are created equal" and not all of them can facilitate language learning or language acquisition. It can be tempting to use the "cool tools" that are fun and students love. Nevertheless, we must be careful with our planning and make sure that we incorporate the technologies that truly support and enhance the learning we are trying to accomplish. Even when we find the right tools, it's important to use them in moderation. Too much of a good thing might be too much! Tools are not the substitute for good teaching. By definition, a tool is "anything used as a means to accomplishing a task or purpose" but they are not the task in itself. With this in mind, mindful integration of technology in the second language classroom is key. In other words, we must use the right amount of technology at the right time within our unit of study. When we teach languages we are aiming to develop the four areas or skills of language in our students: Listening, Speaking, Reading and Writing. Complete fluency is only acquired when these four skills are mastered. In this page you will find digital tools specific to each area of language. I grouped the spoken skills (speaking & listening) and written skills (reading & writing) together. 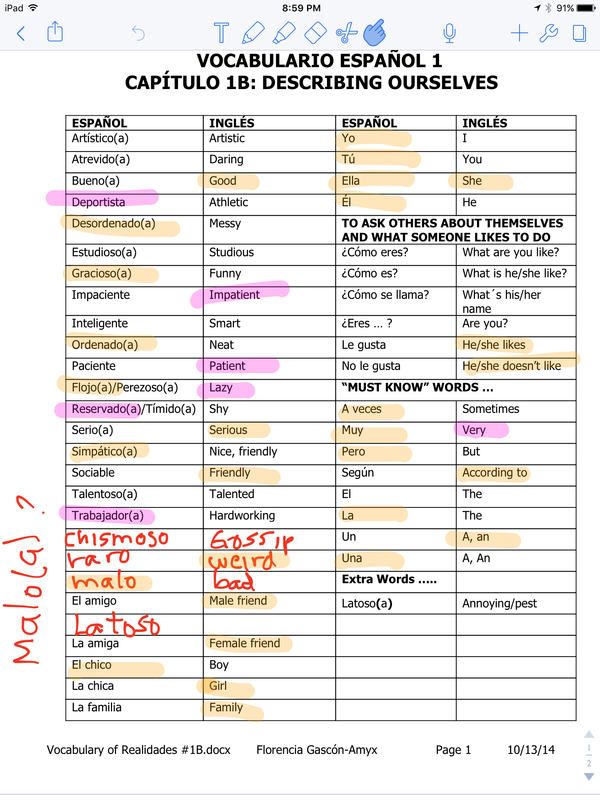 I am including not only the names and the links to these applications, but also examples of the tools being used in my Spanish class. There are many other tools available, but the ones below have been tested, used and "approved" by my students. I recommend you explore all the tools and identify the ones you think might work for you. Also, don't forget to go the "How-To" page to see more "classroom proven" tools that I use on a regular basis but might not be directly related to learning or practicing the four areas of language. When we learn a language, there are four skills that we need for complete communication... these are listening, speaking, reading, and writing". Two of the four skills represent the spoken language (listening and speaking) and the other two (reading and writing) represent the written language. The spoken language can be practiced using many of the same digital tools, which is also the case for the written language. Spend sometime exploring and clicking on each one of the icons below to learn about each application. Click on each icon below to see specific examples using the App. Click on the name of the App to go to their main website. "Listening is receiving language through the ears. Listening involves identifying the sounds of speech and processing them into words and sentences". "Speaking is the delivery of language through the mouth". AUDIOBOOM is a great podcasting tool that can be used to listen to podcasts from teacher and students or to record and asses students. 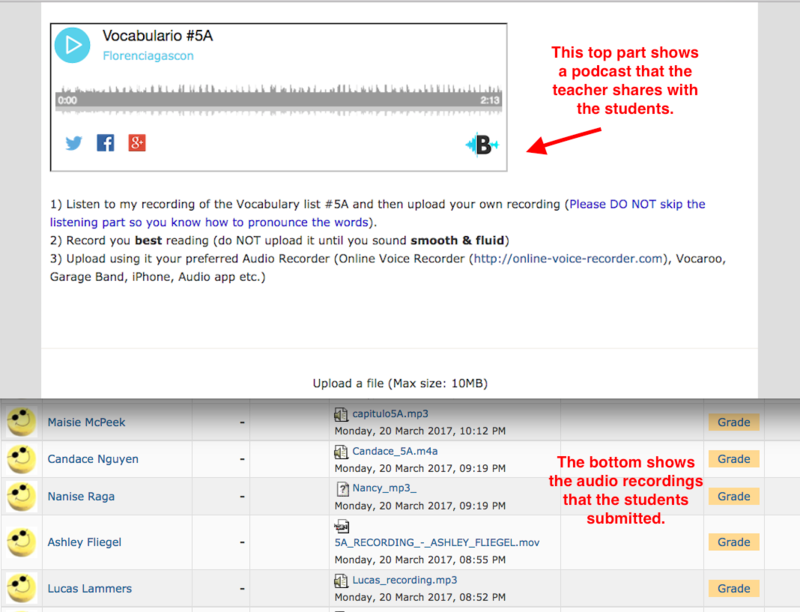 VOCAROO is a very easy to use online recorder that student can used primarily to record and share audio. SCREENCAST-O-MATIC is a webcam recorder that captures video from a computer screen. It can be used by teachers and shared with students or vice versa. 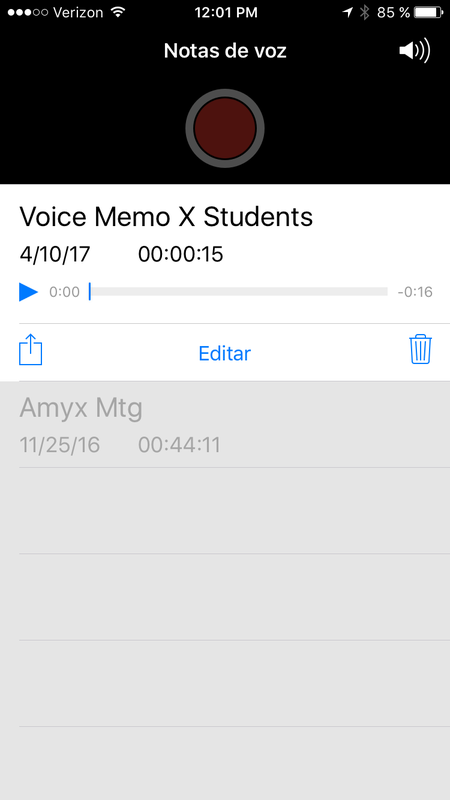 VOICEMEMO is a built-in app to record audio that is saved on an iPhone. 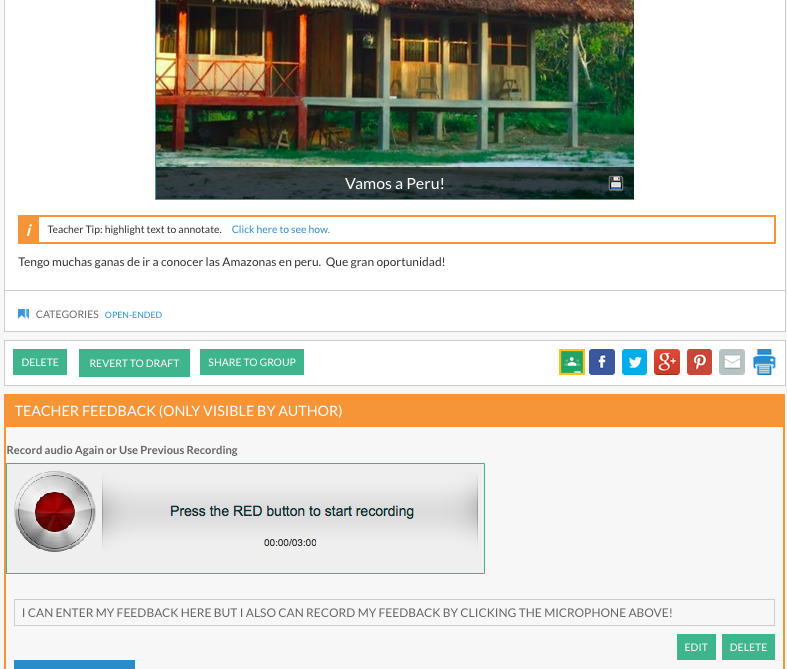 Great for teachers and students to record a lecture, do voice-over for a video etc. 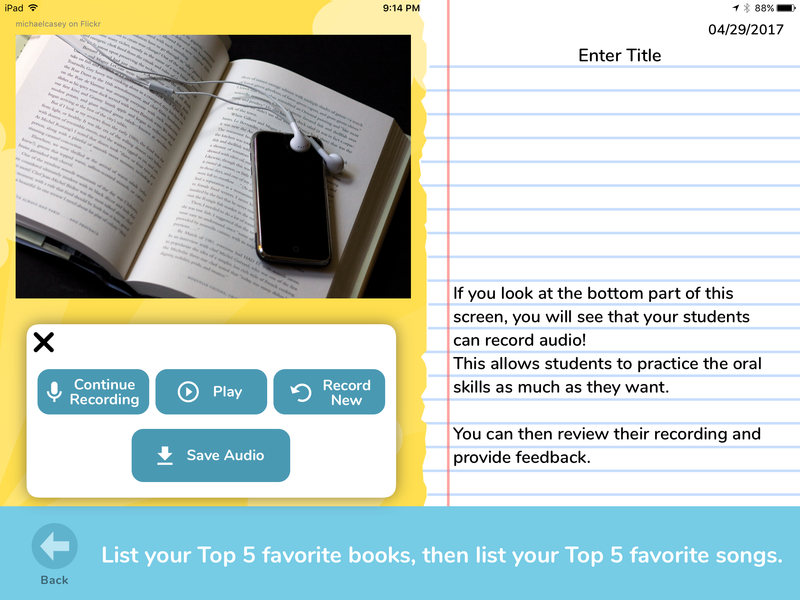 VOICE THREAD is an slide show app that allows students to listen or to leave voice & text comments within the presentation. 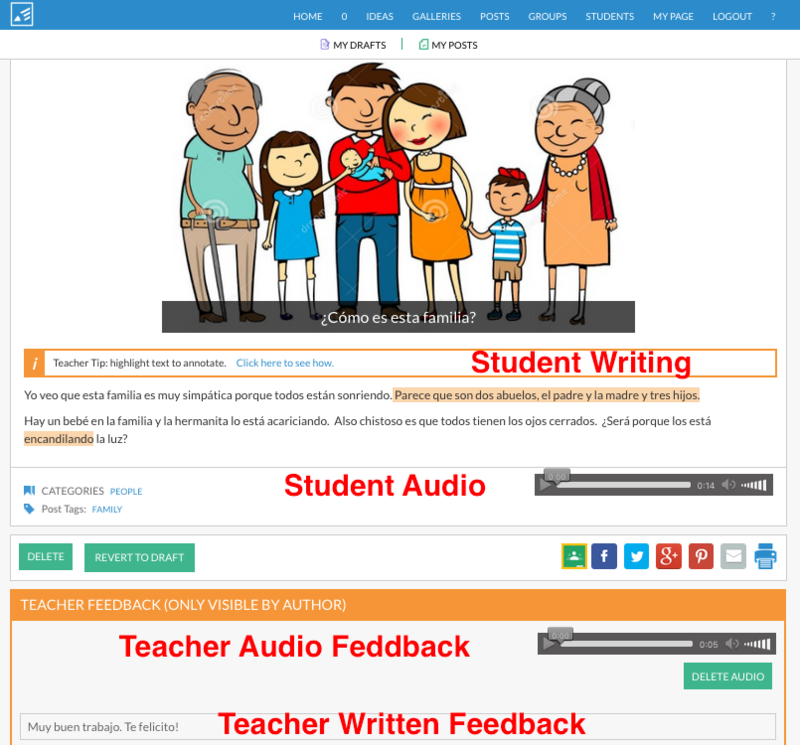 WRITE ABOUT is mainly a visual writing prompt but has the capability of recording oral stories by both, students and teachers. YOUTUBE is a video sharing website that can be a wonderful tool for language learning. 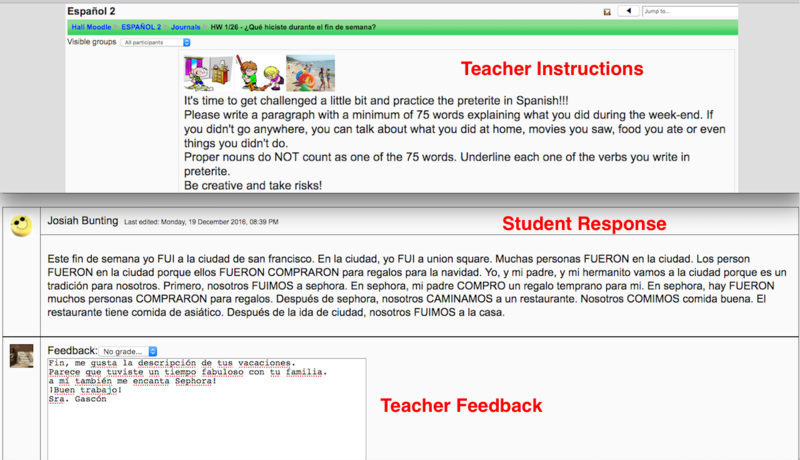 Students can watch or create videos on their target language. MOODLE is a learning platform that allows teachers to share podcasts and lets students post and share their audio recordings. WRITE ABOUT THIS is is a visual writing prompt that allows students to record their prompts as well answer in writing. "Reading is the process of looking at a series of written symbols and getting meaning from them". "Writing is the process of using symbols to communicate thoughts and ideas in a readable form". 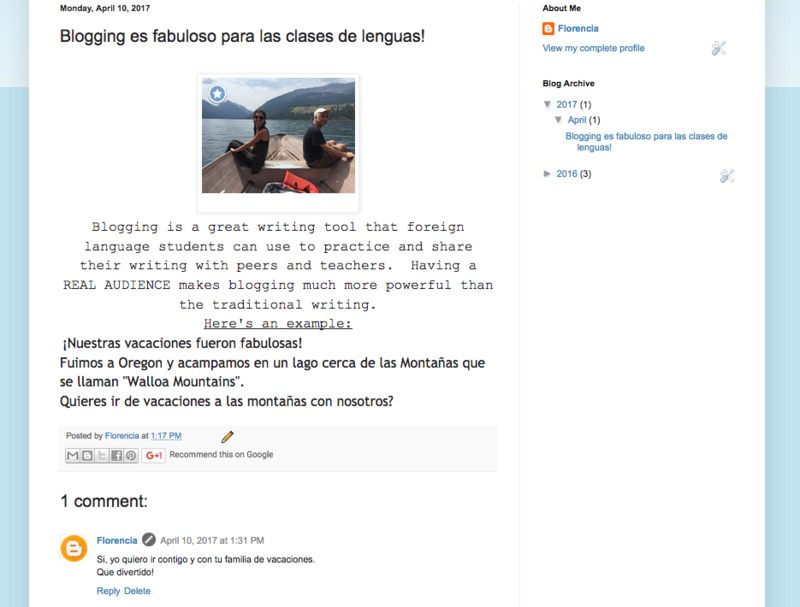 BLOGGER is one of Google's free tools to write blogs. It's great for students who already have a Google account. GOOGLE DOCS is a web based document creator that allows students to collaborate and get feedback from peers and teachers. 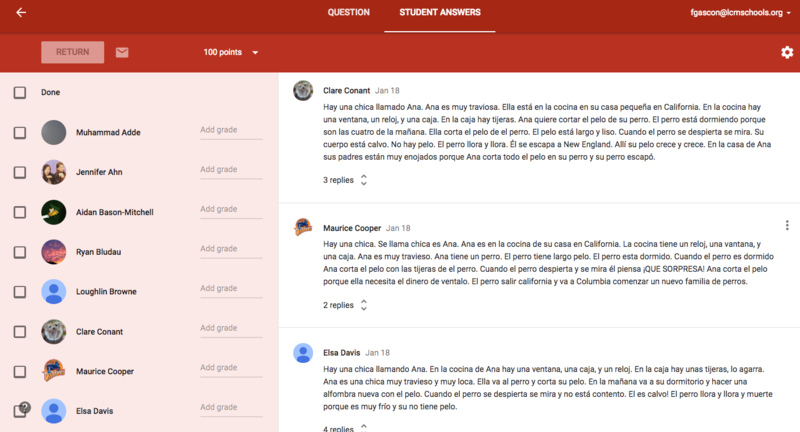 GOOGLE CLASSROOM is a learning platform that, among other things, allows students to write and share with teachers and peers. 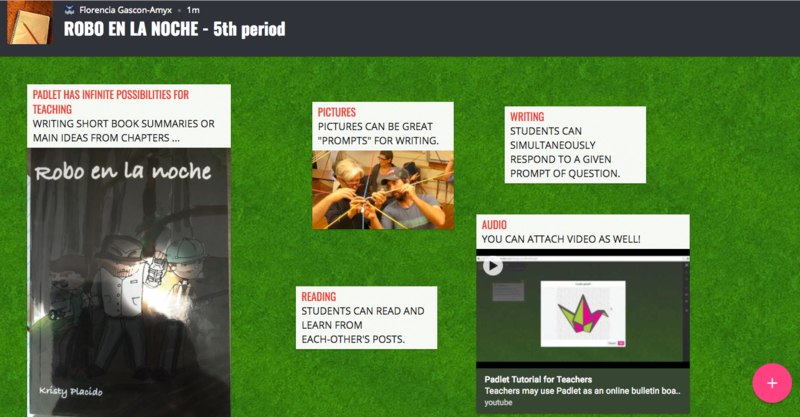 PADLET is a digital wall where students can write and share their thoughts on a common topic from virtually any device. WRITE ABOUT THIS is is a visual writing prompt with many ways to respond and craft custom photo prompts that promote writing. MOODLE is a learning platform where students do a variety of written assignments as well as read and write in classroom forums. WRITE ABOUT is a visual writing prompt and where students engage in writing through interesting images. 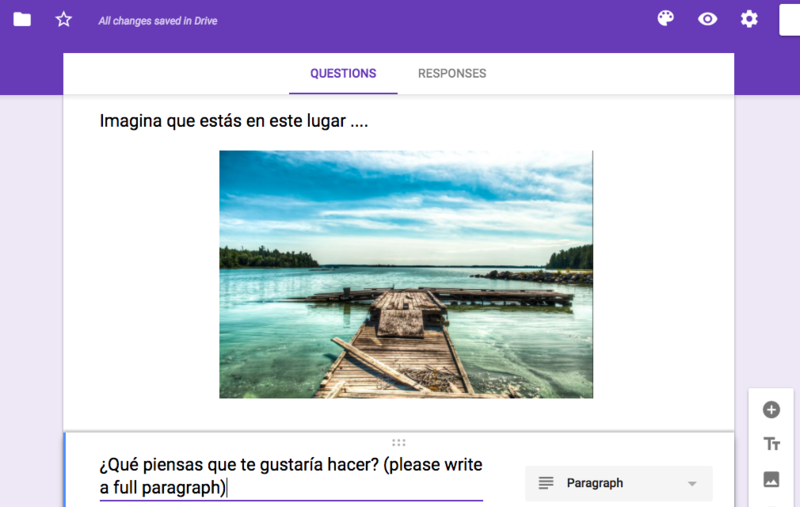 GOOGLE FORMS is a tool for creating surveys and web input forms that allows full paragraphs of reading and writing. NOTABILITY is mainly a tablet app. 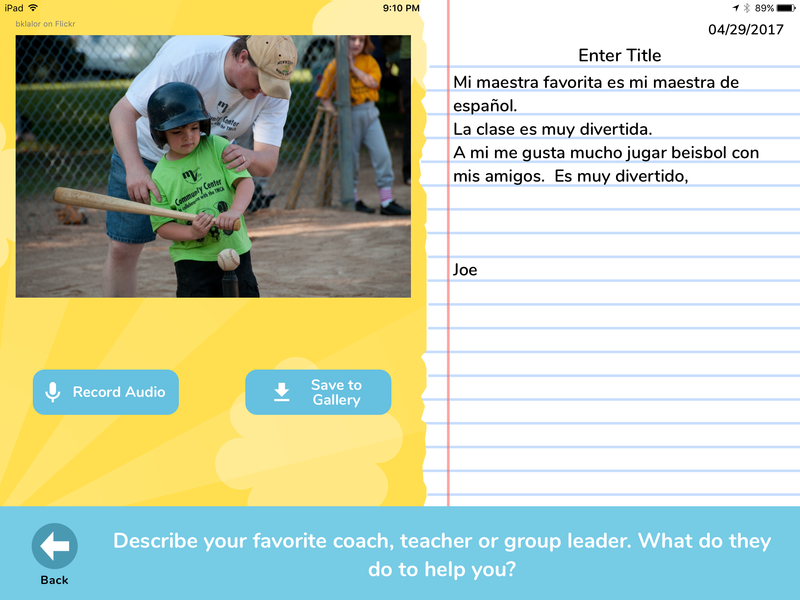 It creates notes that integrate handwriting, typing, drawings, audio etc. It can be used to annotate PDF documents, such as student assignments. It is important to remember that Apps are constantly changing and evolving. The ones I mentioned in this pages will eventually change or be replaced for new ones. However, the important thing is to remember that, no matter which digital tools we use, we must continue exploring and incorporating the right technologies into each one of the the four areas of language.